Many Maine gardeners grow potatoes in the home garden and store them for winter use, but you don't need to grow enough for the entire year to enjoy them. You can grow a short row or two to eat as new potatoes in early to midsummer if space is limited. 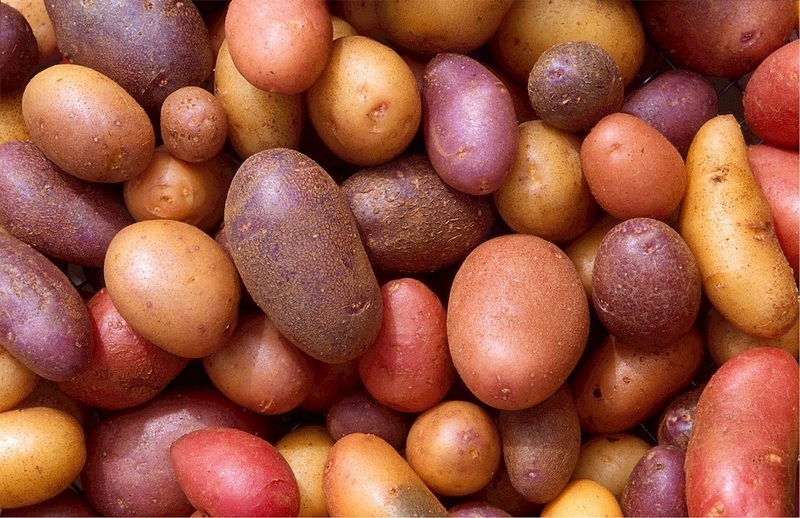 Although red and white potatoes are the most common, there are yellow, purple and blue potatoes, too. With the exception of the blue or purple potato, the flesh of all potatoes is white or yellow. Red potatoes do not have red flesh. Potatoes range in shape from round to oval and from tiny fingerlings to massive russets. The size and shape of potatoes depends on the variety grown. There are more than 100 varieties of potatoes. Potatoes range in flavor and texture from sweet and firm to starchy and mealy. Each variety has its own unique flavor and texture making it suitable for specific uses. A russet makes a wonderful baked potato, but it's not as good as hash (or home fries as those not from Maine call it.) 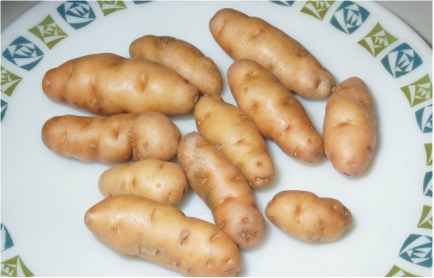 Likewise, tiny new Red Pontiac potatoes make tasty new potato hash, but don't try whipping them for mashed potatoes! Fancy restaurants may call them baby or gourmet potatoes, but here in Maine we refer to them as ​new potatoes. These are tiny, immature potatoes. They are firm and sweet and are often cooked with peas or string beans fresh from the garden. New potatoes are the immature potato of any variety, although many Mainers tend to prefer red potatoes, such as Red Norland and Red Pontiac for their new potatoes. Early potatoes mature in less than 90 days and are the most common potatoes grown in Maine due to our short growing season. Early potatoes also produce 'new potatoes' earlier than later varieties. These are ideal for eating potatoes during the summer. Late potatoes mature in about 110 days and are suitable for growing for winter storage. 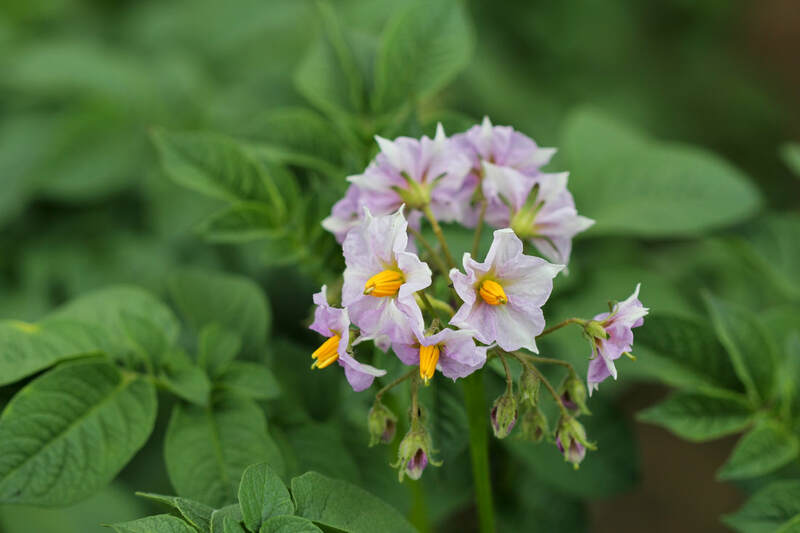 Choose late season potatoes if you aren't concerned about harvesting new potatoes early in the season. Mid-season potatoes mature in approximately 100 days, making them a week or two later than early potatoes. If you intend to harvest your potatoes and store them for winter, a mid-season variety may be right for you. Some Maine gardeners prefer to plant early potatoes to be dug and eaten as new potatoes, and mid or late season potatoes for winter storage.